Have You Tried New Fibreplex! The ultimate haircare range for those looking to embrace their natural beauty, Schwarzkopf's Mad About collection has everything you need to enhance and embrace your curls and waves. While smooth and straight hair was once the desired look, now's the time to enjoy your va-va-voom volume and make the most of gorgeous waves and curls. This holistic care and styling regime includes products created especially for the needs of each and every texture time, enabling you to manage and style gorgeous and defined waves and curls. Instantly depositing tone that neutralises underlying warmth, cool tone luminosity is maintained between salon visits. Whether your blonde is warm or cool, there’s no denying that blonde locks require some extra care. With uneven bases and delicate hair structures to contend with, Schwarzkopf created BLONDEME to cater to those seeking blonde perfection. With ranges designed to cater to the unique needs of blonde locks, the BLONDEME formulations are powered by an Advanced Bonding System to help you be the blonde you want to be. As well as the Bonding Care range to maintain your blonde results between salon visits, the range also includes an array of colour-based products to boost, tone and colour your blonde. So whether you’re seeking a festival-ready pastel shade for your blonde, looking to maintain your platinum shade or tone your warm tresses. Schwarzkopf’s BLONDME has you covered. BC Bonacure by Schwarzkopf is a salon professional brand that aims to restore your hair back to its original beauty with specific hair care for all concerns. The first hair care regime to provide a personalised hair therapy from within, their in-depth and long-term effective therapies treat the root of the problems, rather than masking them with quick fix solutions. Each solution has been carefully formulated to provide the best of hair care to leave your hair the best it has ever been, because BC Bonacure believes that, like skin, hair also requires a long-term beauty therapy. BC Bonacure hair products include specific therapies for all hair types, including damaged & distressed hair, coloured & highlighted hair, mature hair, fine to normal hair and thinning hair. Gorgeous Shop best sellers include the BC Bonacure Color Freeze Conditioner, designed to smooth, condition and keep your hair colour vibrant even after 30 washes. Understanding that coloured hair requires intense hydration and protection, the experts at BC Bonacure Schwarzkopf developed the product to help to detangle and smooth fragile hair without weighing it down or leaving it limp and greasy. They know that colouring your hair can leave it looking and feeling brittle, so this nourishing conditioner increases elasticity, making hair easier to manage day by day. BC Bonacure Moisture Kick Spray Conditioner is another firm favourite, smoothing and nourishing hair while balancing its moisture level for weightless rehydration. A Hyaluronic Acid Derivate recharges your hair with much needed moisture without weighing it down – meaning the result is softer, supple and nourished hair which is full of healthy shine and bounce. Schwarzkopf hair products are renowned and trusted for a reason, and the BC Bonacure by Schwarzkopf ranges are no different. So whether you’re seeking a hydrating haircare solution to inject moisture and shine into hair or a solution to specific scalp issues such as dandruff, you’ll find exactly what you’re looking for with BC Bonacure on Gorgeous Shop. Minimise hair breakage by up to 94% and leave it looking healthy and feeling strong. 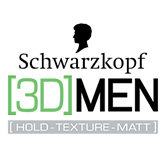 Schwarzkopf 3D Men takes control of your hair's needs to instantly refresh and energise your style with a lasting finish. OSiS, formulated by the haircare experts at Schwarzkopf, is a fantastic range including styling products designed especially for you. These styling products will help you create flexible, unique styles for every occasion. With a choice of Style, Texture or Finish products, Schwarzkopf OSiS enables every individual to reveal their unique style and change their look instantly. Created to offer consumers the opportunity to push the boundaries with their style, achieving looks that they never before thought possible, the experimental styling range includes a collection for every hairstyling need. Fan favourites in the range include OSiS Freeze Strong Hold Hairspray, an ultra-strong texture and separation control spray, giving a strong hold and lasting control. The OSiS Hairspray also works to protect your hair against humidity and heat, making it perfect for all weather conditions. Further Osis hair care picks include OSiS Mess Up Matt Gum and OSiS Bouncy Curls, both Gorgeous Shop best sellers. OSiS Mess Up Matt Gum is a natural, non-greasy styling product, which allows you to create flexible styles with a rough, choppy defined look. The Mess Up Matt Gum has an OSiS control level of 2, meaning medium control, natural movement and style. If it’s curly locks you’re looking to capture, OSiS Bouncy Curls is the perfect strong control product to create curl definition and bounce in fine to medium curly hair. Other products in the range perfect for defining curls include OSiS hair cream, OSiS Curl Honey, which defines natural coarse and frizzy curls and waves. If it’s a gorgeously glamorous look you’re after, the OSiS Glamination range will become a firm favourite. With the carefully curated collection includes everything you need to create an effortlessly glamorous look. Designed to help you capture beachy waves, tousled tresses and on-trend braids, the range is the first female styling collection infused with liquid minerals for glossy shine and effortless movement. So whether you’re after a fixed look, or moveable style, go ahead; get inspired and reveal your individuality with OSiS Hair Care at Gorgeous Shop. Developed by the hair experts at Schwarzkopf Professional, luxury hair care range Seah Hairspa includes everything you need to pamper your hair to perfection. With our increasingly demanding lifestyles and daily stresses, Seah Hairspa hair care products have been developed to allow an at-home spa experience for your hair, ensuring lustrous locks between salon visits. Having taking the demand and growth in popularity for the concept of spa, the Seah Hairspa line under the Schwarzkopf Professional brand has been greatly influenced by traditional spa rituals, helping to relieve you of unwanted stress while also working to cleanse and nourish hair. Schwarzkopf was founded over 111 years ago and today has become the fastest growing haircare brand within the industry, ranking highest among market leaders. Covering all hair products in the categories of hair colouring, hair care and hair styling this unique haircare brand has something for everyone. With the Seah Hairspa hair care range including a variety of hair care solutions, including Seah Hairspa conditioner and Seah Hairspa Hair Masques, you’re sure to find something to suit your every need in this carefully curated collection. With products created to cover the needs of stressed, coloured and frizzy hair, no matter the hair problem, Seah has the solution. Gorgeous Team favourites include the Seah Rose Masque and the Seah Blossom Mask. The Seah Rose Mask works to moisturise and nourish hair, intensively smoothing and adding shine to previously unmanageable and untameable tresses. Strengthening and repairing damaged cuticles, the masque contains amaranth oil to replenish the hair. The Seah Blossom Masque has been expertly created to cater to the needs of colour-treated hair. A rich, creamy masque the Seah Blossom Masque deeply nourishes the internal structure of your hair, smoothing and detangling, making it easier to maintain and look after your hair. So whatever your hair care need, shop Seah Hairspa now on Gorgeous Shop. An innovator in haircare for over 115 years, Schwarzkopf is loved by both hairdressing professionals andhaircare consumers. Trusted and respected as an innovative, high-quality haircare brand, Schwarzkopf takes control of your hair's needs to instantly refresh and energise your style with a lasting finish. Styling, cleansing and caring for your hair, the varied range of Schwarzkopf products includes something for every haircare need. For those seeking a haircare regime that provides a personalised hair therapy from within, the BC Bonacure range includes BC Bonacure Oil Miracle which instantly boosts radiance and shine, and BC Bonacure Color Freeze which contains a UV shield to protect coloured hair from the fading effects of sun exposure. For blondes, the Schwarzkopf Blond Me range has something for all kinds of blonde hair. Designed to smooth, soften and add a vibrant glow, the collection includes Schwarzkopf shampoo, conditioner and even the super cool Instant Blush range for a leave-in or wash out spray of temporary pastel colour. For damaged hair, the Fibreplex range works to minimise hair breakage by up to 94%, leaving it looking healthy and strong. Schwarzkopf Fibreplex Shampoo delivers long-lasting colour protection and shine, nourishing and hydrating the hair to leave your locks looking and feeling healthy, while Schwarzkopf Fibreplex No3 Maintainer helps to maintain the improved quality to your hair while balancing pH levels, minimising oxidation damage inside the hair to create fabulous bond strength within the hair fibre. It’s not just haircare that Schwarzkopf expertly creates; if it’s a styling solution you’re after, Schwarzkopf OSiS is the one for you. Formulated by the haircare experts at Schwarzkopf, the fantastic range of styling products will help you create flexible, creative styles for every occasion. With a choice of Style, Texture or Finish products Schwarzkopf OSiS enables everybody to reveal their different style sides, and change your look instantly. Schwarzkopf haircare ranges will truly help enhance your hair style for the perfect salon finish, so why wait? Shop now on Gorgeous Shop.